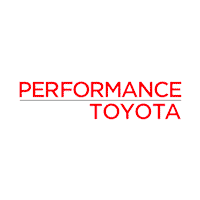 If you’re asking yourself, “Where is the best place to get a car loan?” then you haven’t met our finance specialist at Performance Toyota! They work hard to get our customers the car loan or lease option they deserve in Sinking Spring, PA.
Once you’ve done the research and found the perfect vehicle that suits your needs, it’s time to start the car buying process. Our finance team works with top lenders to help you lock in a car loan or lease that best fits your budget with affordable monthly payments at a competitive rate. Not sure what you can afford? Try our payment calculator to estimate your monthly payments. Get pre-approved for a car loan using our online credit application or contact our team for assistance. Be sure to check out our monthly new car specials for extra savings on your next car purchase or lease. We are eager to help you find the best car and finance option for you.